An upcoming event CISMA 2015 (China International Sewing Machinery & Accessories Fair 2015), opening on 23rd Sept in Shanghai, China. This is a bi-yearly event where you can explore latest technologies for apparel and sewn product industry - from production planning to cutting room to sewing room to finishing and lot more. Garment industry technology solution providers from different parts of the world are participating CISMA 2015 Shanghai. Here are few brands those are going to showcase theirs latest developments. 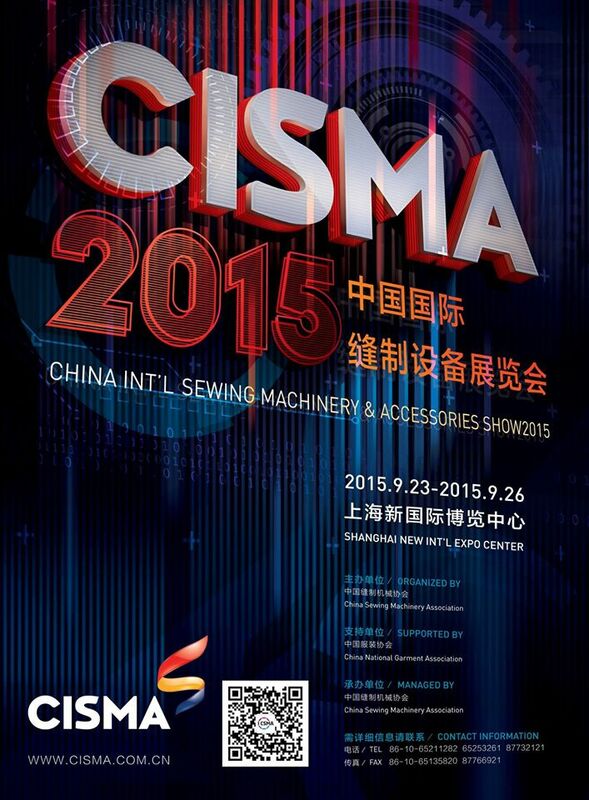 A world famous garment technology fair CISMA 2015 will be held on 23rd Sept.at shanghai, China.